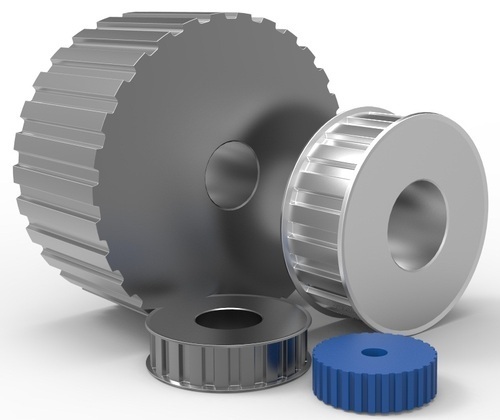 Our organization takes pleasure to introduce ourselves as a noteworthy firm of a wide assortment of Timing Belt Pulley. Machines and techniques used in manufacturing process are highly advanced and enable us to add much-needed touch of uniqueness to the entire array. Also, we check the entire assortment upon various quality parameters to avoid any possible defect before the final supply from our end. Our offered array is available in various sizes and dimensions at an easily affordable rate. Established in the year 1986 at Ludhiana (Punjab, India), we, “M.P. Gears (India)”, are counted as the reliable manufacturer, exporter, retailer and supplier of a broad array of Automotive and Machine Components. Our wide range of product includes Spur Gears, Bevel Gears and Helical Gears. These products are designed and manufactured by our assiduous professionals using high quality raw material and progressive technology in tune with the set industry norms. Offered products are extensively distinguished for their exceptional features like high strength, simple installation, precision-designed, light weight and strong structure. Our provided products are obtainable in varied specifications that suit the diverse requirements of our honored clients. These products find their valuable applications in a wide range of industries. We also render Milling Job Works in sync with the needs’ of clients. Besides, clients can purchase these quality proven products from us at nominal prices. We export our products across the globe.